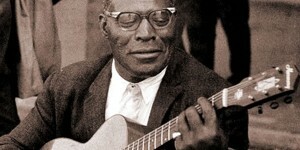 The legendary Howlin’ Wolf, was born in West Point, Mississippi as Chester Arthur Burnett on June 10th 1910. Wolf’s mentor was Charley Patton, who Wolf met when he was 18 years old. After spending several years in the army, Wolf settled in Memphis, playing local clubs and he got a job on the West Memphis radio station, KWEM. It was on that radio station that Sam Phillips heard Wolf, offered him a chance to record in the Memphis Recording Service studios which ultimately led his signing with Chess Records. Below, watch several of our favorite Howlin’ Wolf classics. 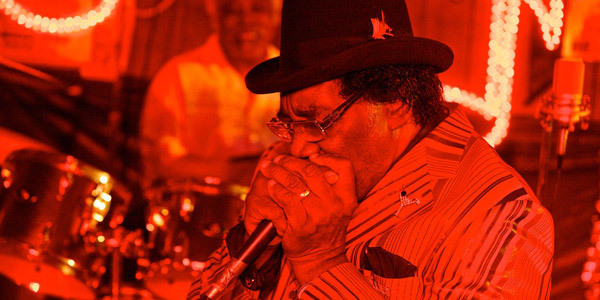 One of the Mississippi Blues Project’s featured artists is Big George Brock, who is performing on Sunday, August 19th at the Philadelphia Folk Festival with the Cedric Burnside Project. Brock’s gritty and raw blues has its roots in the Delta where he grew up in Grenda, Mississippi. Below, listen to Brock’s cover of the Howlin’ Wolf classic, “Smokestack Lightning,” and watch a video of Howlin’ Wolf performing it live.